D.M. 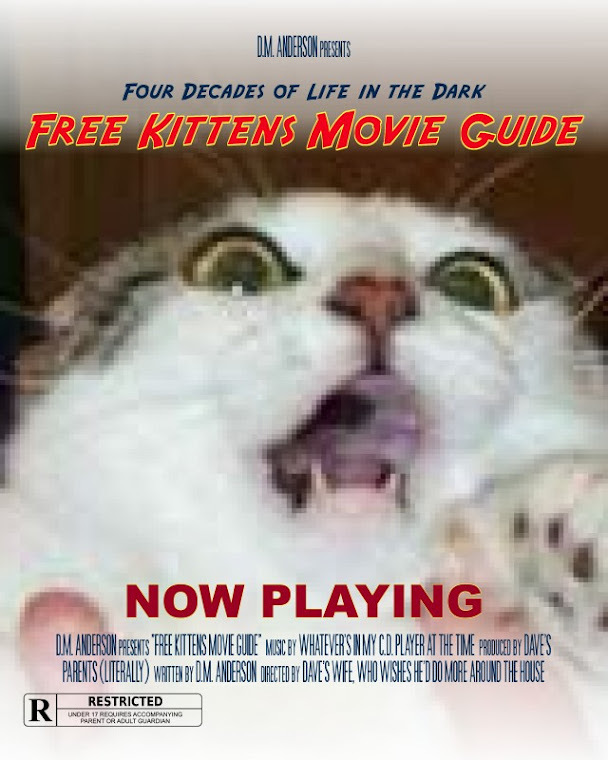 Anderson's Free Kittens: "On the Boardwalk in the Moonlight", from D.M. Anderson's "With the Wicked." I never found vampires particularly scary. Still, there are two vampire tales in With the Wicked. 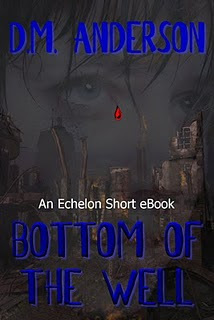 The first, “The Bottom of the Well,” was published as an e-Book by Echelon Press . 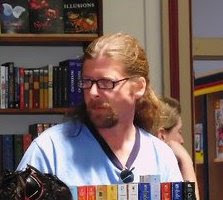 The second, “On the Boardwalk in the Moonlight,” was first featured in a small magazine called Nocturnal Ecstasy in the 1990s. Being that it is a fairly benign and humorous story, I’ve used it to teach story elements to my seventh graders (albeit with some of the language revised). I guess maybe you could it an ‘anti-vampire’ story. This one is very short, and in my opinion, kind of funny. 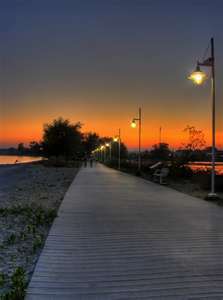 They walked hand-in-hand on the boardwalk, just as they had every night since meeting only a week ago. Like clockwork, they stopped at the same spots to listen to the seductive swirl of ocean waves. It was as though each night was created exclusively for them. Dimitri glanced over at Clare, who closed her eyes and let the soft sea breeze brush through her hair. She was so beautiful, so sweet. Not just another meal. How the hell do I tell her I’m a vampire? After a few quiet moments, they walked on, content to enjoy the silence of each other. He loved her. She had to know that. He swore to himself to be completely forthcoming and honest, even if the consequence was losing Clare forever as she ran away in horror. After all, she had awaken feelings in him he thought were long dead. She deserved to know who he was; what he was. He owed it to her. And maybe, just maybe, she loved him enough to join him in eternal darkness, to live forever in each other’s arms. Dimitri hadn’t prayed in centuries, but tonight he prayed to God for Clare’s unconditional love. Did God have the wisdom and compassion to forgive one who had forsaken Him so long ago? Was any god that forgiving? At any rate, Dimitri promised both God and himself that he would not take Clare unless she wished to be taken. What was that old saying…if you love something, set it free? Clouds above cleared, allowing the moon the smile down on the two lovers. Clare stopped again and beamed upwards. “The night is so beautiful,” she said softly. “I wish it never had to end.” She gazed into his eyes, tightening her grip on his hand. Dimitri smiled back, then kissed her forehead, basking in the radiating warmth of her flesh before working his way to her earlobe. “It doesn’t have to end,” he whispered. She sighed contently as she wrapped her arms around him. Her touch made him ache with hunger. Tell her. Tell her now! There will never be a better time. “I love you, you know,” Dimitri breathed into into ear. “Yes,” she replied, tightening her hold on him. “I know.” Her soft lips found his neck, parting just enough for her tongue to brush his flesh. Clare suddenly broke into laughter, loosening her grip on him. Dimitri frowned as as Clare giggled and snorted uncontrollably until her eyes watered. He had a few ideas on how she’d react to his revelation, but this definitely wasn’t one of them. Clare suddenly ballooned and exploded like an over-inflated party doll. Her fine flesh and long flowing hair ripped apart, giving-way to moist, writhing tentacles. Dimitri screamed as he stared into Clare’s real eye, a huge, snotty orb that malevolently stared back. 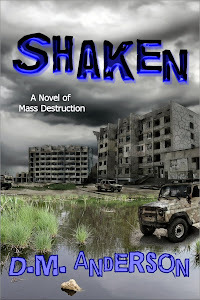 Clare’s massive beak hungrily snapped as her tentacles gripped him. He screeched in pain, feeling suckers and claws pull and rip at his flesh. “You’ll be tasty,” Clare gargled. “But I loved you,” Dimitri croaked. She hoisted him into the night air, smacking her jaws in anticipation of the meal. Dimitri’s bones crunched as she squeezed him in her slick arms, drowning out the breaking waves. His bulging eyes watched in horror and sorrow as Clare pulled him toward her hungry beak.